Fitted Caps are very versatile and you can wear them with any outfit that you have. Fitted hats are clean and polished and have better quality appearance than other hats. You can choose from different colors like red, navy, black, and even pink. Flexible, fitted ball caps are round-shaped hats that have a stiff bill protruding from the front of the hat. 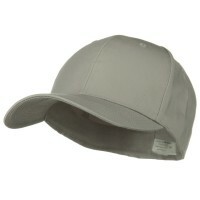 These ball caps have material that is lightweight and unstiff, designed to fit to the shape and contours of the wearer’s head. 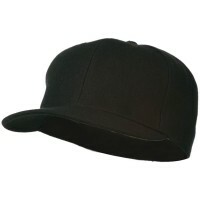 The light and stretchy fabric the fitted ball caps are produced with can include cotton, polyester, spandex, or even wool. Most ball caps are made with fabric sewn in six sections, and also often include small eyelets that grant ventilation for the wearer’s head. Ball Caps are desirable for sunny days, during which the bill of the hat serves to protect the person from harsh sunlight. Not only are flexible, fitted ball caps functional—they are also stylish. They come in a variety of plain colors as well as numerous designs. 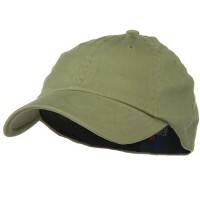 A wearer could wear the hat with the bill facing the front, side, or back. Ball caps showcase trendiness and style, and are quite popular in today’s fashion. That’s why Flexible, Fitted, Size Caps are multipurpose caps that can be worn by anyone. If you are looking for a wide selection of Flexible Fitted Caps, then visit e4Hats.com and be amazed with how many-colored caps and designs you can choose from. Flexible fitted caps come in with different styles and designs. If you are looking for classic Ball Caps, you can choose from different colors like red, navy, black, and even pink. The hats look very classy and are made from 100% acrylic and a combination of wool and acrylic for more comfort. But if it is extra protection that you want especially during cold season, you can always opt for a Long Bill Caps that has an extended visor to keep your eyes and the whole face shaded from the sun’s glare. Fitted flaps are favorite items for those looking for clean and tailored hats. But if you are not sure about the size, you can also opt for the adjustable Solid Blank Caps that come with a plastic adjuster to ensure the hat fits on to any crown size. There are just so many caps to choose from!